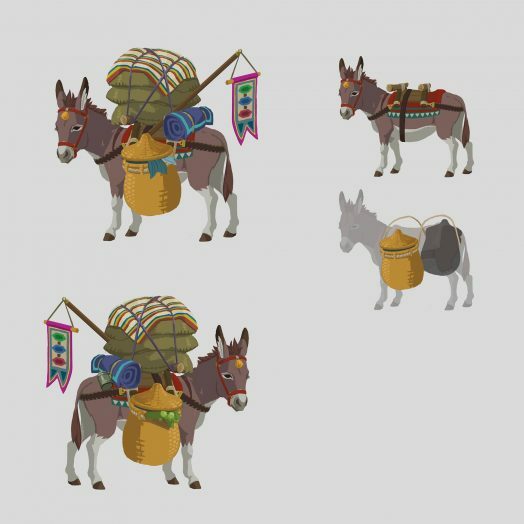 The Legend of Zelda Facebook page continues with their weekly Breath of the Wild updates, sharing a few images in the past week and a half that you may have missed — or want to see again! Along with the concept art of the special Korok, Nintendo has shared some Valentine’s Day love and a look at another of the domesticated animals found in Hyrule. The images continue to capture the curious and wondrous world of this new game with glimpses of simple scenes and characters, and they show how much love has gone into the game over its four-plus years of development. As a Valentine’s Day treat, Nintendo shared a new piece of art featuring Link and Wolf Link. 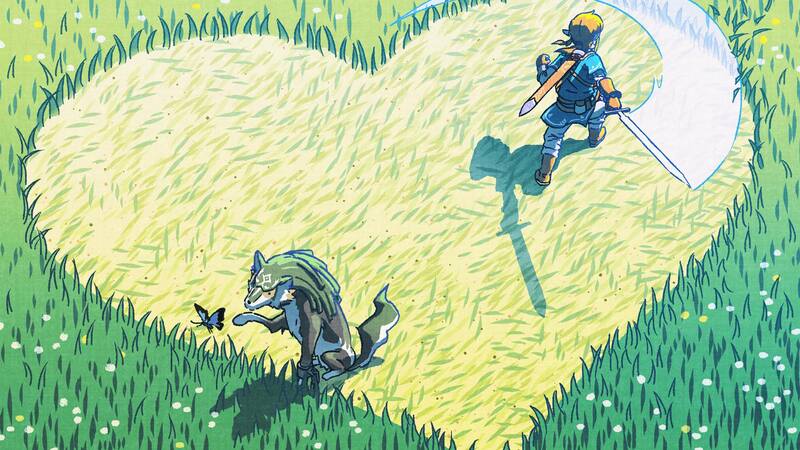 While Link clears out a heart in the grass, Wolf Link inspects a blue butterfly fluttering nearby. Perhaps he’s trying to turn it into a fairy? 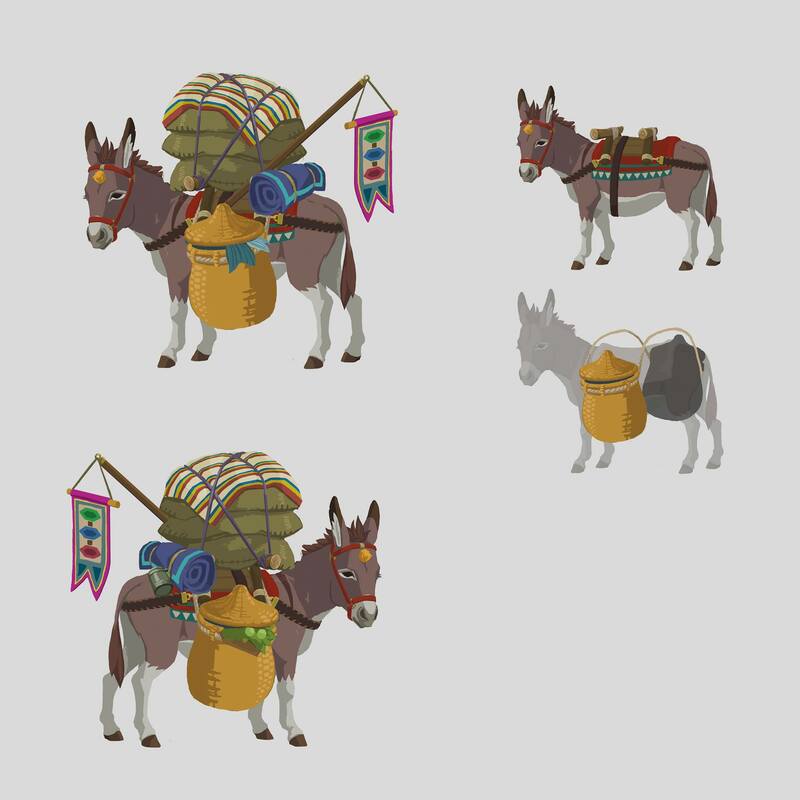 One such donkey was, in fact, stabled at the Outskirt Stable in the January Treehouse Live footage. 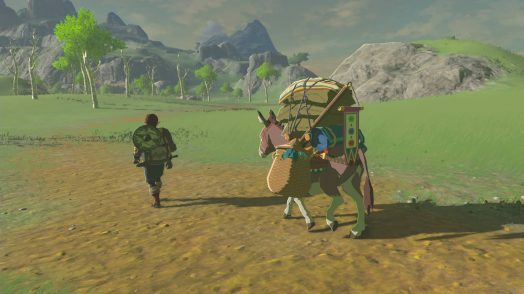 Unfortunately, it appears Link will be able to tame only horses for himself. It’s a pity, because those long ears practically beg to be pet! Breath of the Wild is releasing for both the Wii U and Switch on March 3, 2017 — less than eleven days from now! Tell us what you’re most excited to see in the game.